Miniature needles designed to provide superior, highly-uniform electric fields in dermal or muscular tissue as part of the AgilePulse in vivo Gene Delivery Electroporation System. Specially designed for gene and vaccine delivery. 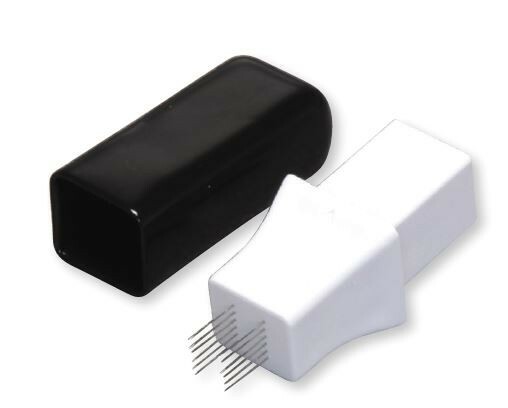 AgilePulse Needle Array Electrodes are miniature needles designed to provide superior, highly-uniform electric fields in dermal or muscular tissue as part of the AgilePulse in vivo Gene Delivery Electroporation System. Applications for these electrodes include intra-dermal DNA vaccine research and antibody production, cancer chemotherapy research or intra-muscular gene therapy. The miniature parallel-needle array is inserted directly into the target site for fast, reliable in vivo electroporation. 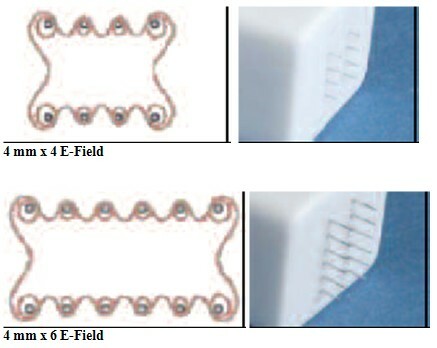 The electric fields produced are the closest approximation of parallel plate electrodes, treating approximately 80% of the target area with 95% of the applied electric field. 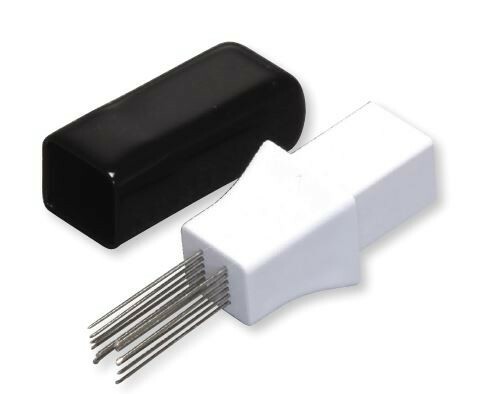 The needle array requires the needle array handle which includes the electrode connector cable. Several needle lengths and row spacing are available for various intra-dermal or intra-muscular applications. Needle Arrays can be used for up to 500 pulses with proper care and maintenance. Use of the AgilePulse HT system (formerly Cyto LVT-P) is subject to an annual license agreement between Cellectis bioresearch and the purchaser. Please contact Cellectis bioresearch cytopulse@cellectis.com for further details. Use of the AgilePulse In Vivo system (formerly the DermaVax device) is not authorized for any veterinary and human therapeutic uses. Contact Cellectis therapeutics contact@cellectis-therapeutics.com for such uses. Bråve A, Hallengärd D, Gudmundsdotter L, Stout R, Walters R, Wahren B, Hallermalm K. Late administration of plasmid DNA by intradermal electroporation efficiently boosts DNA-primed T and B cell responses to carcinoembryonic antigen. Vaccine. 2009 Jun 8;27(28):3692-6. Epub 2009 May 3. Roos, A-K, Eriksson, F, Walters, D, Pisa, P, King, A. Optimization of skin electroporation in mice to increase tolerability of DNA vaccine delivery to patients. Molecular Therapy, 2009 Sep;17(9):1637-42. Epub 2009 Jun 16. Lladser A, Ljungberg K, Tufvesson H, Tazzari M, Roos A, Quest FG, Kiessling R. Intradermal electroporation with a survivin DNA vaccine induces CTLs against a self-epitope, suppresses angiogenesis and confers long-term protection against mouse.